The marriage of Blatt and LeBron James has always been awkward. Don't forget, Blatt was hired to helm a young ballclub before James made his blockbuster return to Cleveland and while the Cavs have certainly won a ton of games (even finishing in the Finals last season), the relationship between Blatt and his star players (not just James) has never been great. After all, we saw that pretty clearly this past spring in the NBA Finals. I do understand that. After all, as we all know, this league is more about the players than the coach (save for the cases of the really elite head coaches and the truly awful ones) and if there are chemistry issues between the coach and the players, that's obviously a problem. Plus, there is a prevailing notion that this team, despite their record, is underachieving. That blowout loss to the Warriors at home on Monday helped to drive that point home. But the timing of this is still odd. The team has had a number of injuries this season, with most notably Kyrie Irving being out for most of the season, and even then, they still looked to be on their way to returning to the NBA Finals. And while they may not be good enough to be a title team this season, nobody appears to be in the league of the Warriors and the Spurs right now. It doesn't matter as to whether James was involved in this decision or not because his lack of a relationship with Blatt and his noticeable relationship with Lue said it all. Fair or not, this organization revolves around James and they know that he is the sole reason why this team has returned to the top of the Eastern Conference. Therefore, a winning coach be damned if his relationship with his star(s) isn't good. As to whether Lue can be the one to further elevate the Cavs is the key question now. This is not the same thing as Pat Riley pushing out Stan Van Gundy in Miami to be the head coach because Lue has no track record being a head coach. He does have a better relationship with the players than Blatt ever did (not a surprise considering his NBA playing experience) but there's no guarantee that that will translate into more wins and greater success. It’s shocking Cleveland chose to make this move now, in the heat of a contending season. 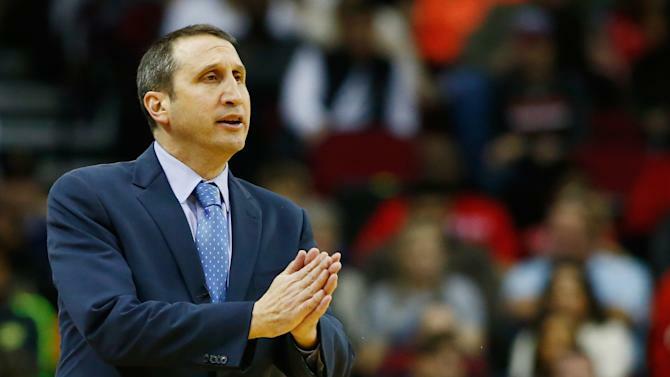 It’s not as surprising Blatt was fired in a more general sense, given that his job had never seemed secure to begin with.